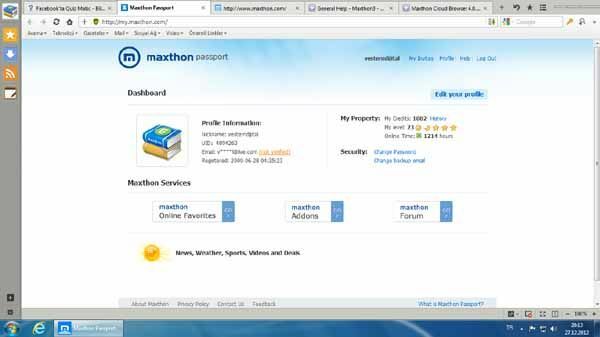 Free download Maxthon Cloud Browser latest version 5.1.5.2000. Maxthon Cloud Browser is one the best browser which I have used. There are lots browsers available in the internet market. Maxthon is totally free browser with latest and rare features. One of its best feature is its double screen mode, Retro and Ultra mode. The one who take care of safe browsing, would love to use Maxthon Cloud Browser. Maxthon Cloud Browser has introduced lots of new features which are appreciable. It provides different tools like multisearch, drag and drop, feeds, screen capturing, mouse gestures, autofil, notekeeping and many other features. It also offers pup-up blocker. Its installation is so quick with good start. Its customizable toolbar, integrated search, tabbed interface and favorite menu provides Maxthon Cloud Browser a feel that user rapidly developed by importing its bookmarks. There is highlighted Icon which tells that you are using safe website and its also provides information about the website you are browsing. If any website you open starts make noise. You can quickly mute that noise by pressing button available on Maxthon Cloud Browser. Its pop-up blocker blocks unsafe content, you can simply turn off pop-up blocker and can see all those content which you want. And now if we talk about dual display mode browsing, it is a rare feature among all the web browsers. It is the only browser having this feature. It provides users a nice experience by using cloud functionality, resource siffer, night mode and screen capture tool.